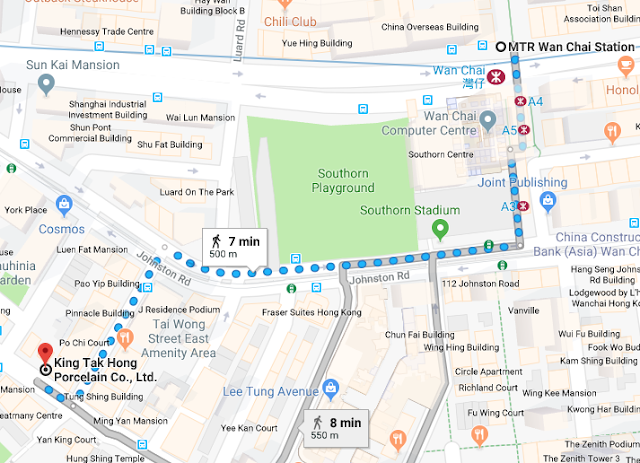 Starting at the traditional Moon Gate is a lovely stroll along a laneway full of people talking, selling and gathering to talk birds. Commonly known as the Bird Markets, the traditional name is Yuen Po Street Bird Garden named after the street. 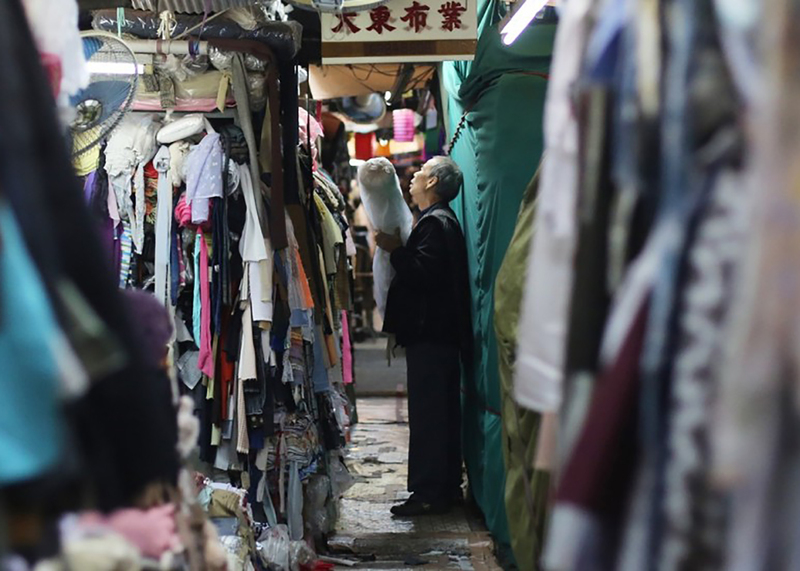 Sham Shui Po is a melting pot of everything Hong Kong. 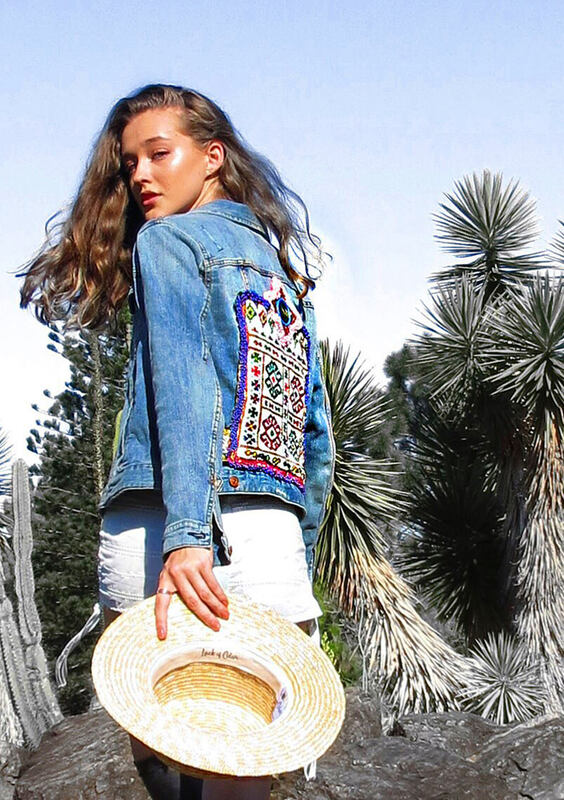 From wholesale fashion to kids toys, electronics to fabric. Get you big girl shoes on and discover this shabby, eclectic, down to earth area of Hong Kong. 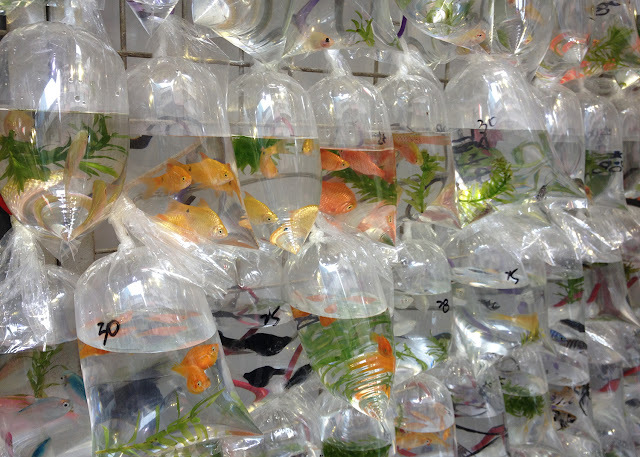 A local market very close to the Ladies Markets and the Goldfish Markets. You can buy all sorts in knick knacks, phone cases, underwear, bags, towels, linen. 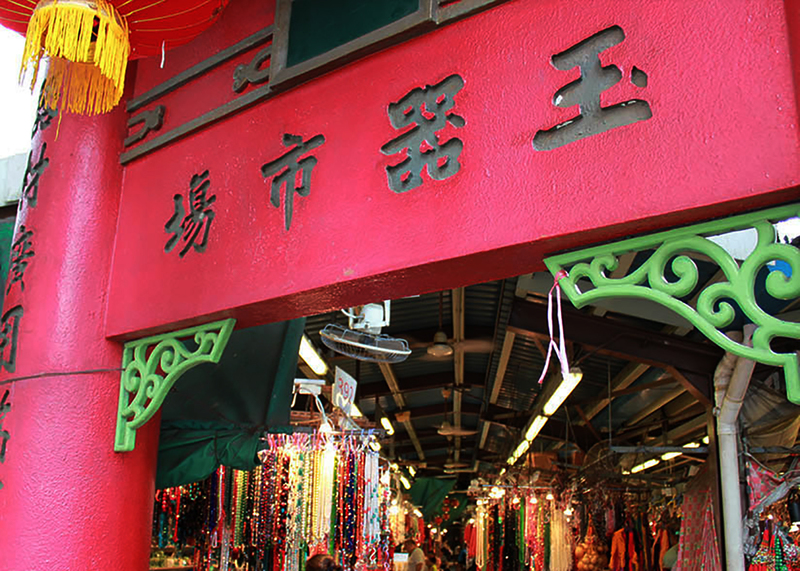 Fabulous clothing shops are situated either side of the central markets. These are mainly fixed priced markets. You will not see a lot, if any copy items however there are a few shops selling copy Zara clothing. The prices in all shops are very reasonable. You can also purchase great snack foods, fruit etc. 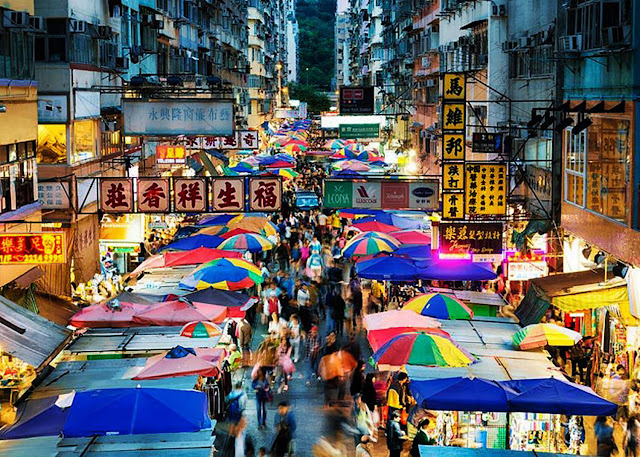 This would have to be the cutest markets in all of Hong Kong! A very atmospheric market in Yau Ma Tei. Not quite as busy as the Ladies market. The fun is actually eating here. 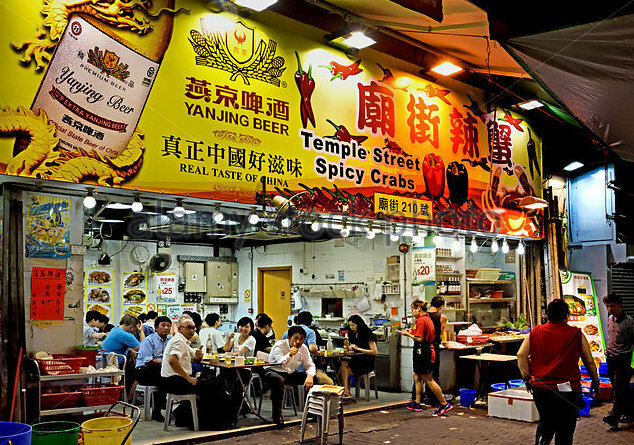 Fabulous cheap street food. Very clean too. 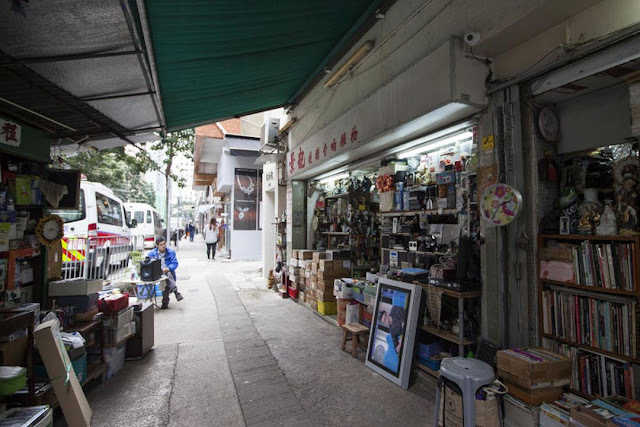 Antiques Street or Cat Street on Upper Lancaster road, Sheung Wan, got its name from thieves who stole antiques called "rats", the "cats" being the shop owners is where you will find all sorts of antique junk, curios, second hand goods and Mao memorabilia. 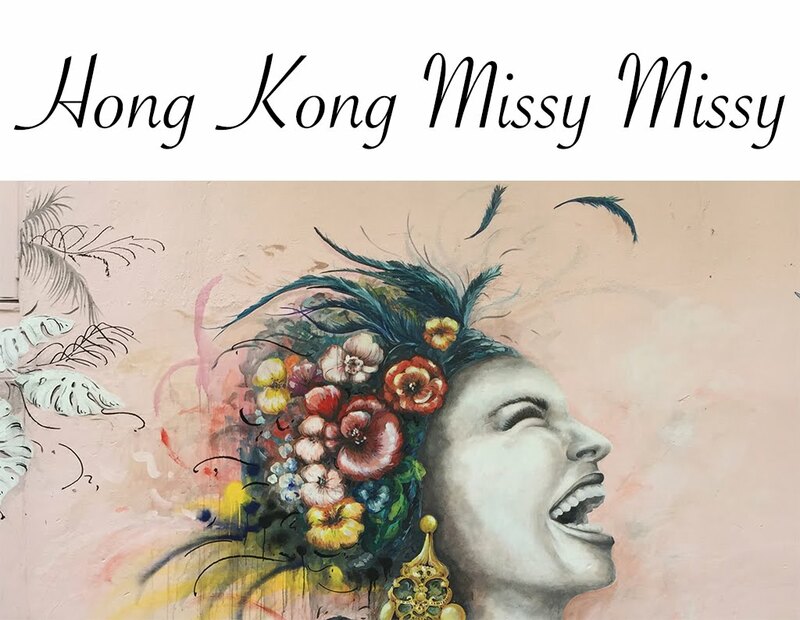 Welcome to the land of Missies..
All the information you will need to take this one day journey from Hong Kong is right here at HongKong Missy Missy. Read about Part 1 -What to take Part 2 - Getting to Lo Wu, Part 3 - Immigration and Visas, Part 4 - Recommended shops and prices and Part 5 - Eating there and Part 6 - Personal Shoppers in this 5 Part series. Many of you may know of Kyle the famous handbag man in Luohu. He and his cousin Ice ran a fabulous, honest, down to earth shop. Due to increasing rent Kyle has decided to close his shop for good. Instead, Kyle is now a personal guide, which I think is better. He knows this centre inside and out. His friends who own shops are just like him; kind, fairly honest and very patient with your requests.Last year I had the privilege to use Kyle as my personal shopper for the first time. He was awesome. We met on the second floor outside his friends massage shop. While we were in a quiet corridor, it still worked fine. 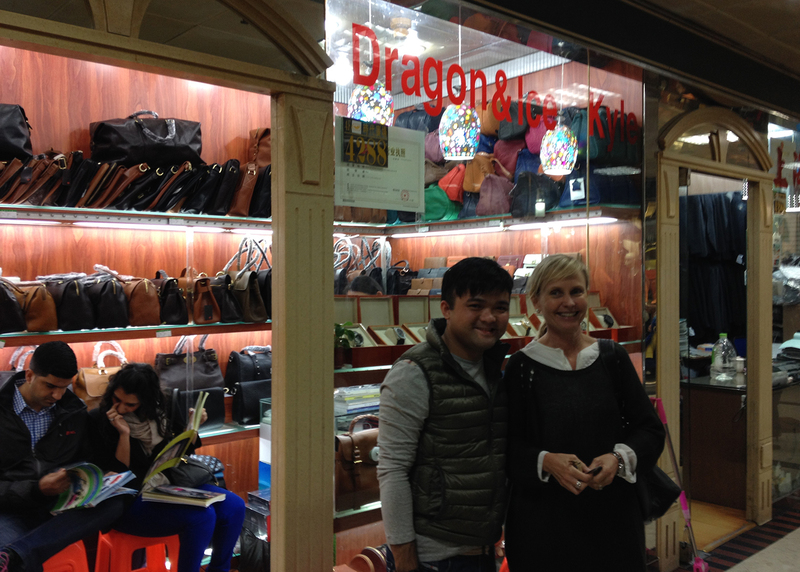 He had his runners to get bags for us to look at. His still has his library of books on hand. The security walking past were a bit of an issue but he was able to whisk away the items quickly and without fuss. The best thing about Kyle is his patience and honesty. 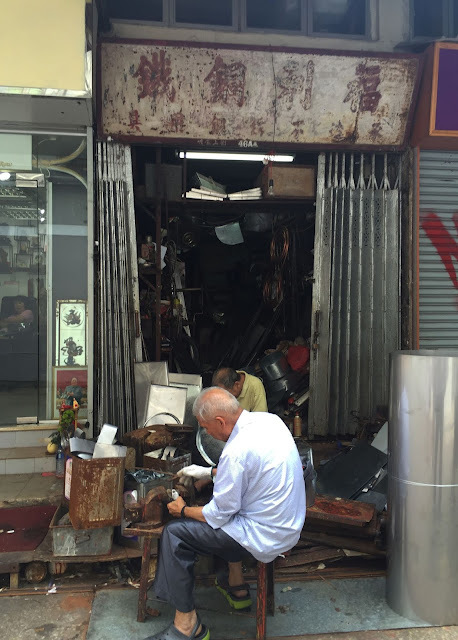 n addition, this gentle, kind and honest person will take you to individual shop with the highest quality and exceptional prices. With his low overheads he can offer you true prices of any products available. Your shopping experience will be streamlined. 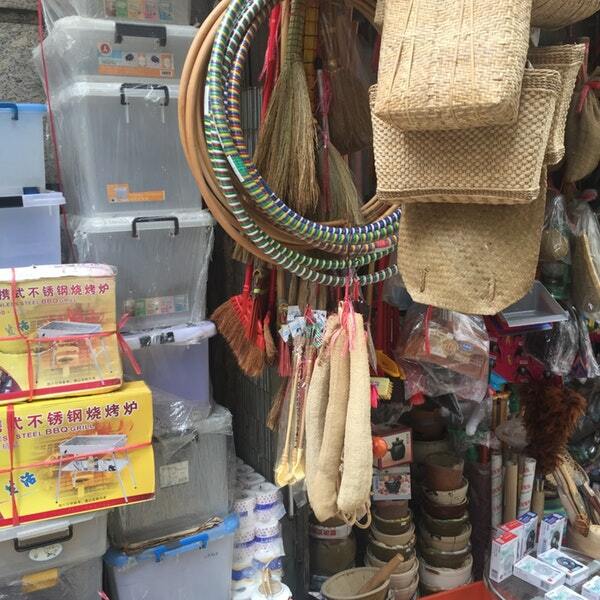 None of this wandering aimlessly searching for products, waiting for second rate items or quality or bargaining and haggling, this is all done for you. While Kyle does let you do the price negotiating in the shops, he will tell you a fair price to offer as a guide. If you would like to book your personal shopping experience here you will need to download Whatsapp on the App store. Sign in and put his contact into your Whatsapp contacts list. This app works with wifi as well. Please text him before you leave to book your shopping date with him. 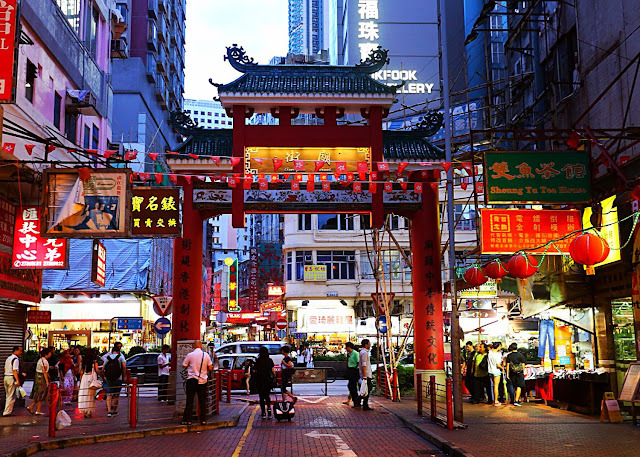 Once in Hong Kong or China confirm your arrival. 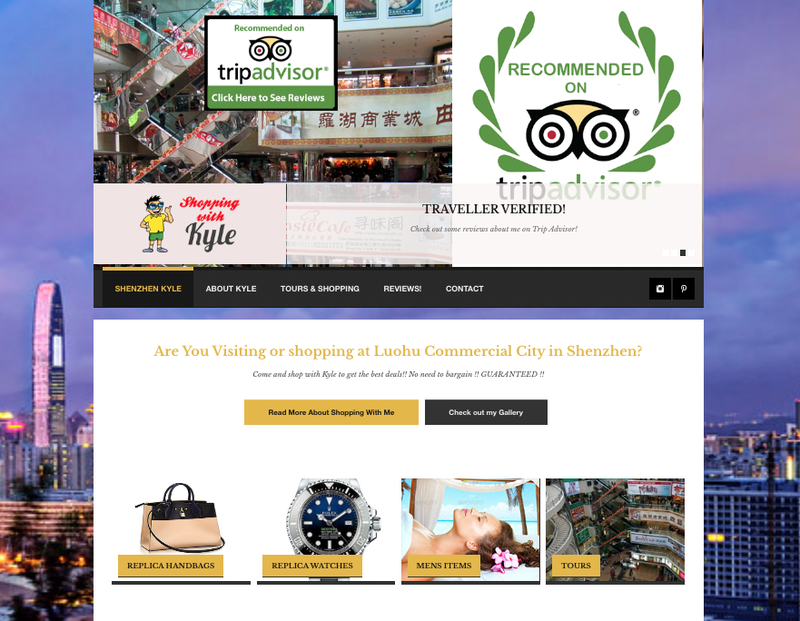 Make sure you read all my info on an awesome day in Luohu too. Also, after much encouragement Kyle now has an instagram account. 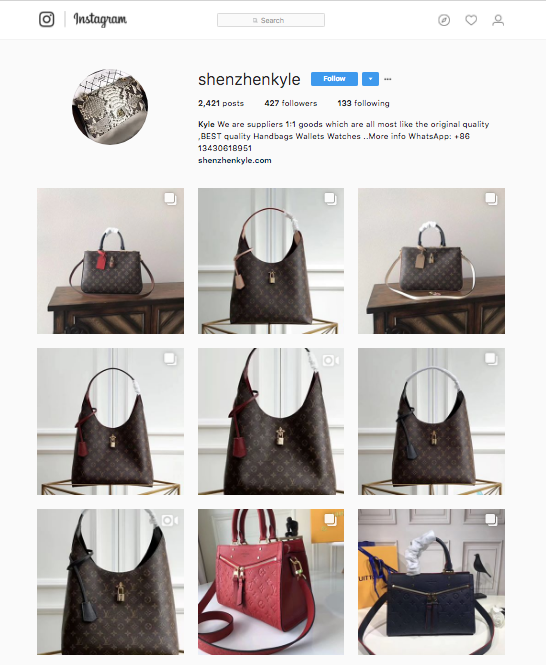 You can look at gorgeous bags here. 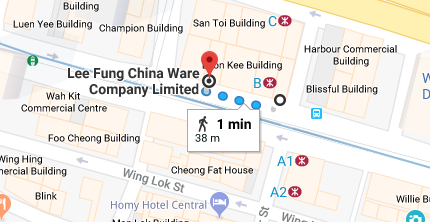 while you are in Hong Kong too. Ivy is not exactly a personal guide as she has a physical shop. Ivy's wechat number direct is +86 13430606298. Mention my name. Her quality is just divine. Bought all leather Dior bag for $100. Gucci and Chloe AAA+ can be up to $200 though. 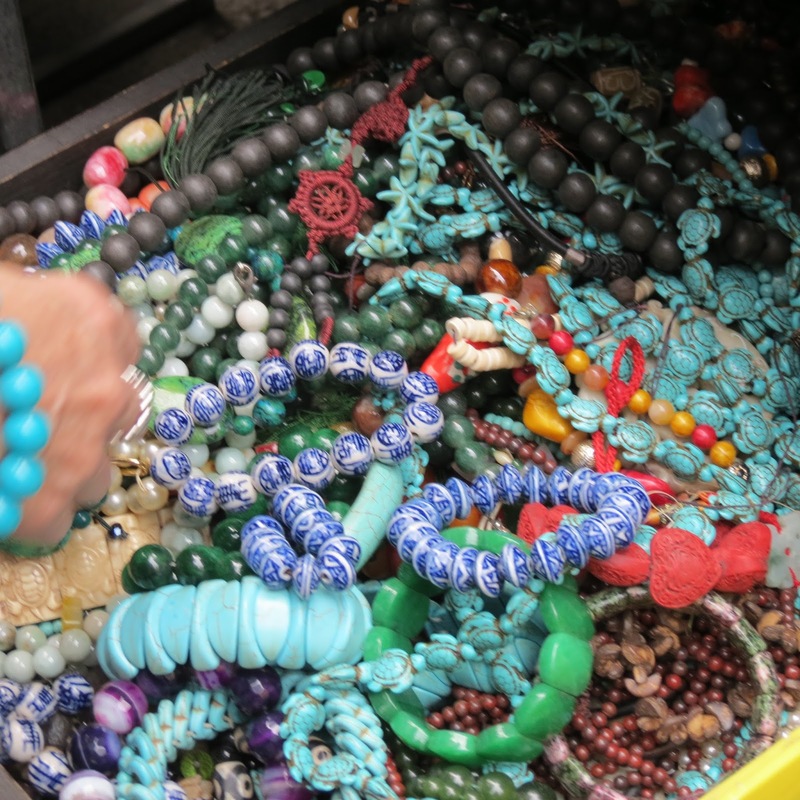 Also, once you have made your purchases from her, she is very happy to source the rest of your items. 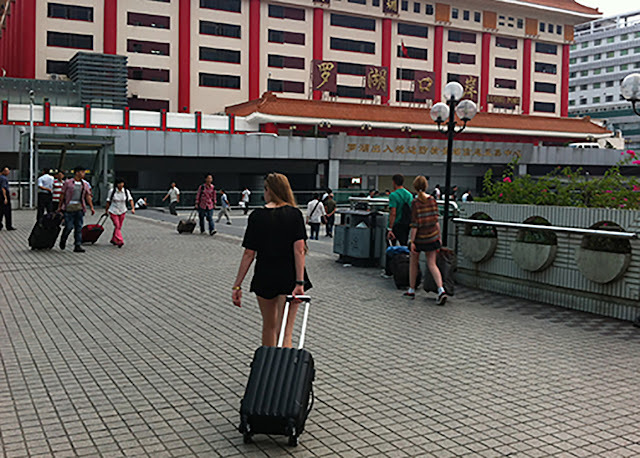 She sourced designer backpacks, converse shoes, Gucci sweat tops and even took us to her sister Eva for some electronic goods. Ivy's items are a bit more expensive than Kyle but she has a shop to pay for too. She is kind, quietly spoken and courteous. Ivy also sends items to Australia for me. I haven't used Jacky, but have heard about him. His mobile is +81 13510691698. Many frequent business travellers call him when the gets to Shenzhen and he meets and gets whatever they want. VERY reliable. We took a fabulous walk through Hong Kong Island's old district basically using discoverhongkong.com free self guided walk. Travelling up the mid-level escalators, old, very steep steps, through antique streets, medicinal herb area we really got a taste of the old Hong Kong with the bustling new Hong Kong moving around us. We sort of followed the self guided walk given by discoverhonkong.com but skipped a few parts that didn't interest us, making serious shopping detours along the way. Stopping off at delicious coffee shops to fuel our way and ending at the refreshing bars in Soho. A fabulous very full day out. No need to start until about 10am, as nothing is open. So relax and fill up on a delicious breakfast before starting. 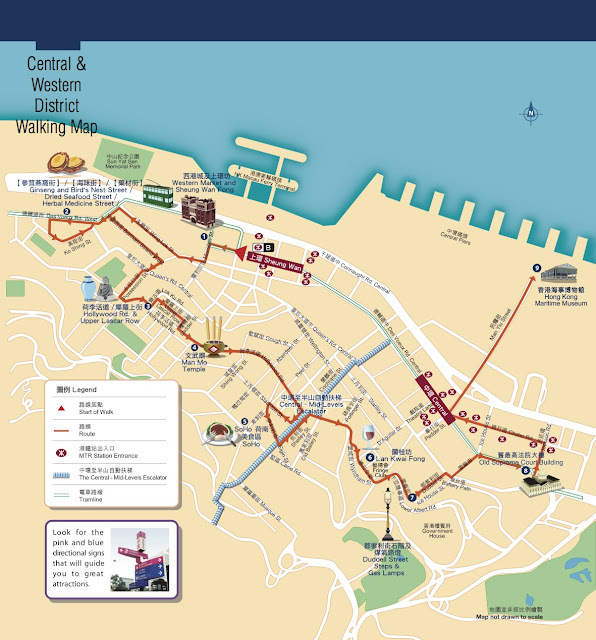 We started our fabulous tour at the Western market getting there by either the Star Ferry or MTR Sheung Wan Station, Exit B (depending where you are staying), where we walked for about 3 minutes. We started our self guided tour here. 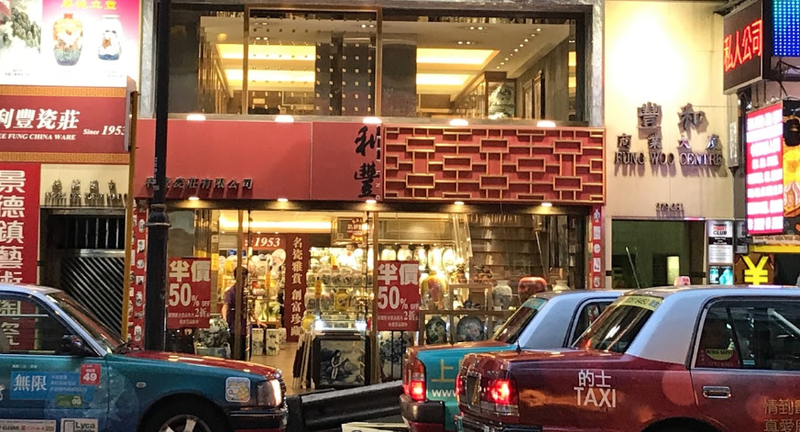 We continued on to Des Voeux Road West, commonly known as Dried Seafood Street, strolling past weird and wonderful mountains of dried seafood as well as black moss, dried snakeskin, dried sausage and expensive dried scallop. 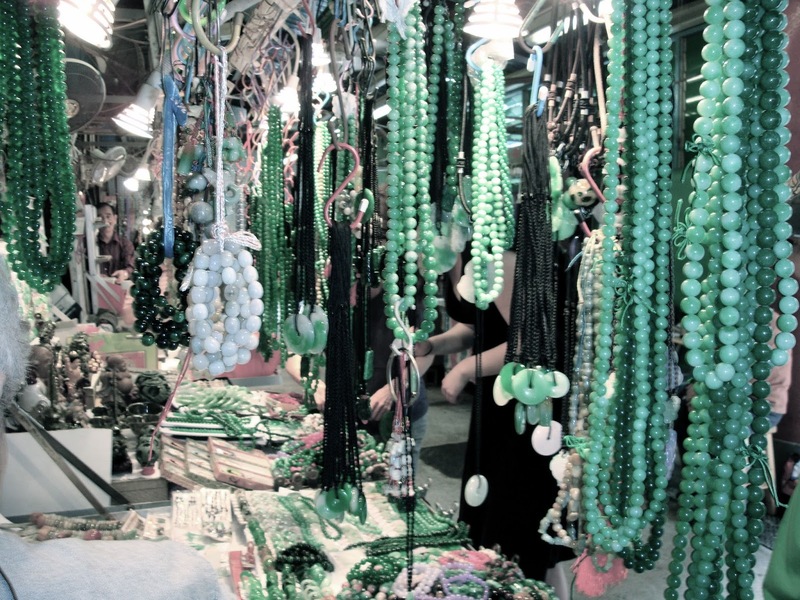 Some of the shops were very flashy ranging down to smaller more everyday shops. 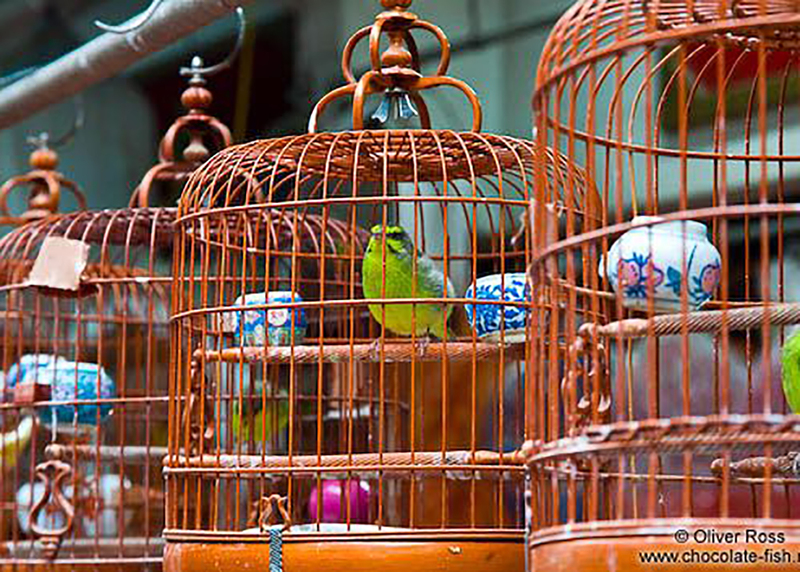 Obviously nothing for us to buy here, as we would have no idea how to use them, but so interesting and great photo ops! 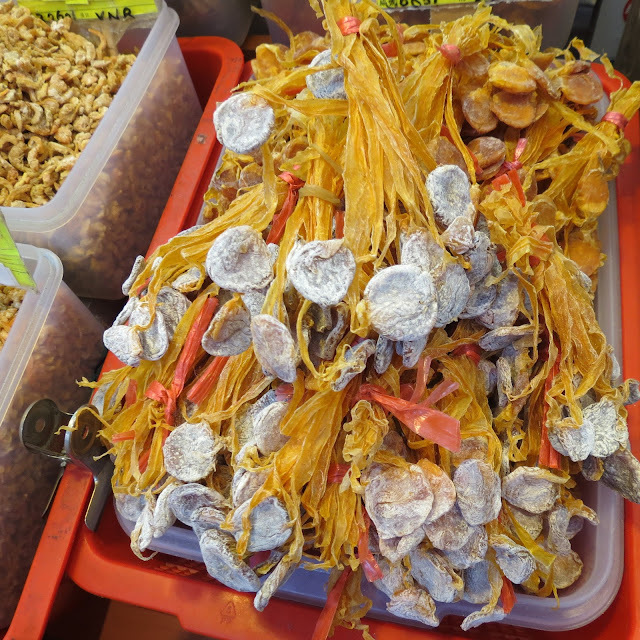 The nearby streets of Wing Lok and Ko Shing specialise in ancient Chinese tonic foods where you can find ginseng and bird’s nests to eat!! Moving up to Possession street with a number of antique and interesting shops, a very old area named after the first British landing in 1841. 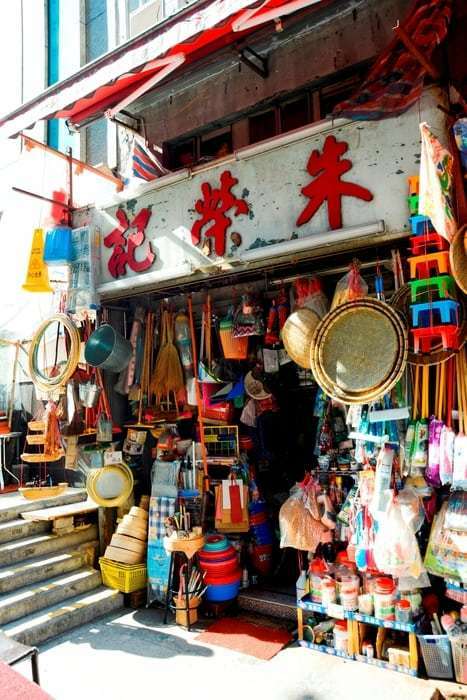 Here, at 24 Possession Street, you will find Chu Wung Kee grocery store jammed packed with odds and ends. 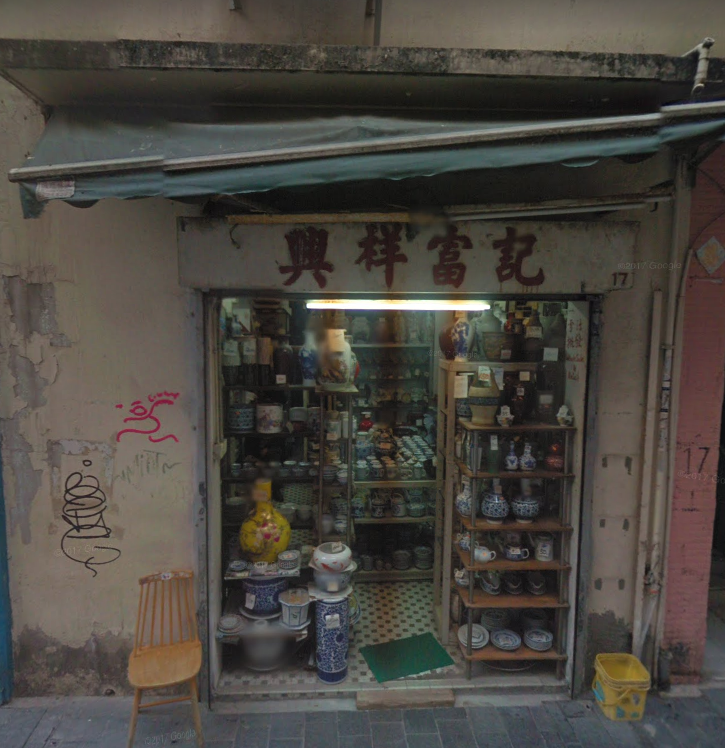 This shop is also mentioned in my post about ceramics shopping in Hong Kong. Turning left onto Hollywood Road (probably named after the holly plant grown in the area, not California) take a look at the stunning art work along the way such as Uma Nota's Laughing Woman featured at 38 Peel street just off Hollywood Road at the Seoul Brothers Fusion cafe. 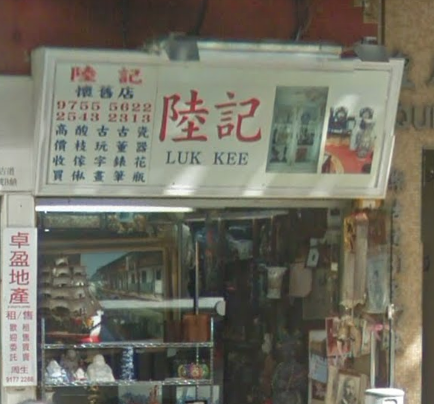 Turn left again onto Lok Ku road and pop into Luk Kee Curio shop, 32 Lok Ku Road run by the smiley Luk Kee. Then wander under the awnings on the opposite side of the road up and onto Upper Lancaster Road on the right. Upper Lancaster Road commonly known as "Cat Street" is not open until midday at least, hold off until all the shops are open. 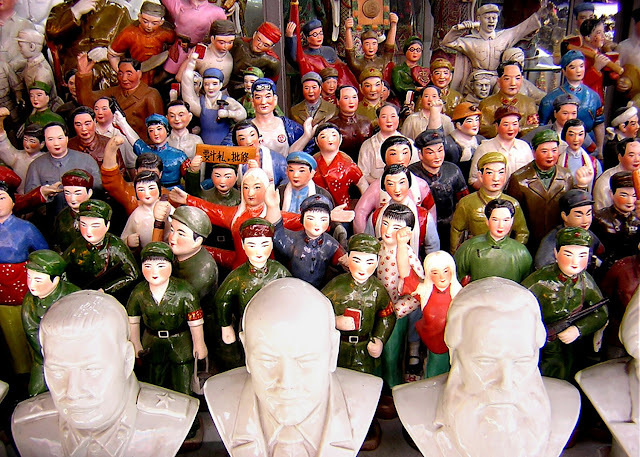 Getting its name from thieves who stole antiques called "rats", the "cats" being the shop owners is where you will find all sorts of antique junk, curios, second hand goods and Mao memorabilia. You bargain here too. The dudes don't really care, but have a good go! Clustered in a small area we found large expensive shops down to many, small, crowded garage sale type shops. Lots of weird and wonderful trinkets and lots of junk too. 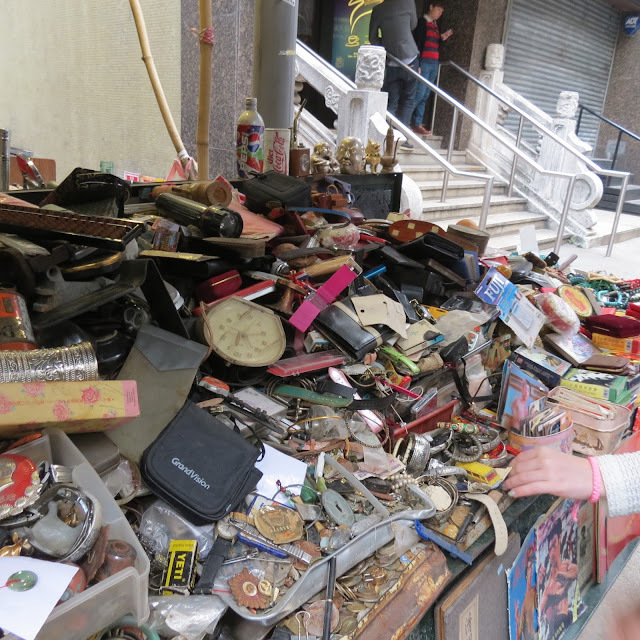 Maybe find a vintage game or an old Hong Kong post card. Or just take fabulous pictures. A very cute area. A lot of older dudes ran the shops, some interested in doing business with us, some couldn't care. One guy, with one of the biggest collections of Mao figurines in the street, spent about 20 minutes with us explaining the history of the Mao propaganda figurines. What a morbid but interesting talk. Especially the murderess teacher, considering we three are teachers, it was very educational! 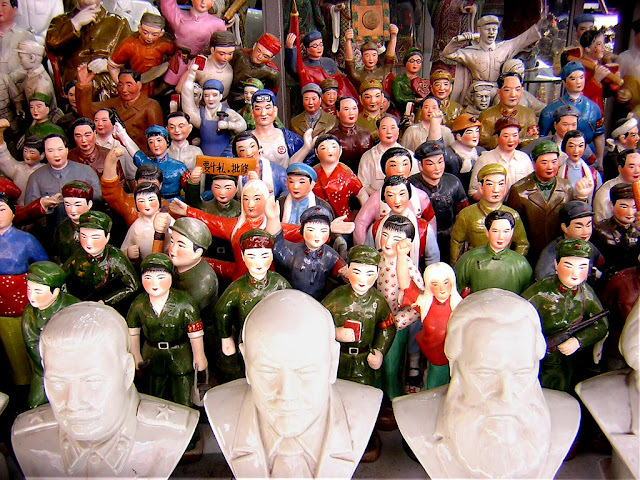 Mao propaganda figurines. The teacher is the pink girl! While they were produced in their 1000's back in the 1960's, I doubt very much that these were the real deal, even though the dudes said they were. However, very interesting in a morbid kind of way! I ended up buying two, but not from the talking guy as they were just too expensive for concrete, possibly fake statues. I wandered down and found the same thing for a lot cheaper at shop 32 Upper Lancaster Road. 32 Upper Lancaster Road recommended dude! He even accepted credit card. I paid about $25 each for these. Be warned though. They are very heavy. 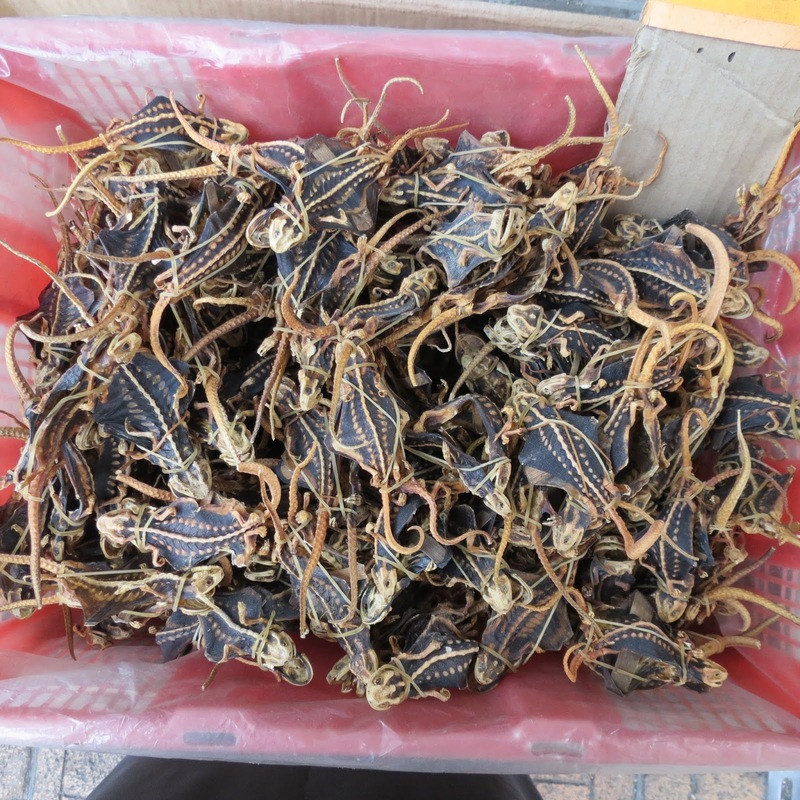 (1.5kg each!) . But so worth it. Not that my friends thought so as I whinged all the way back to our apartment! Walking back down to Hollywood Road we entered Man Mo Temple. 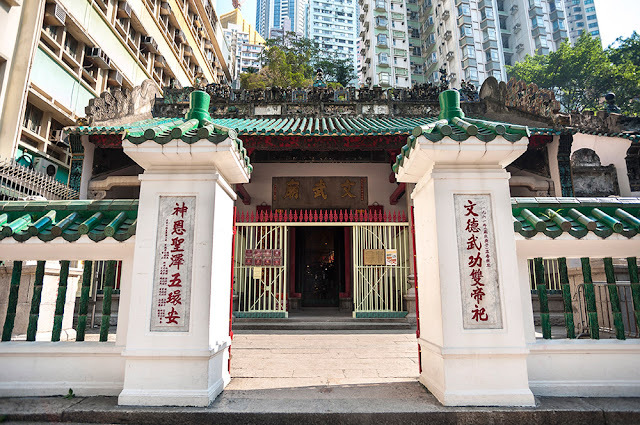 Surrounded by skyscrapers, a very smoky, atmospheric Taoist temple. Unfortunately it was being renovated so was covered in bamboo scaffolding, but still a worthwhile stop. 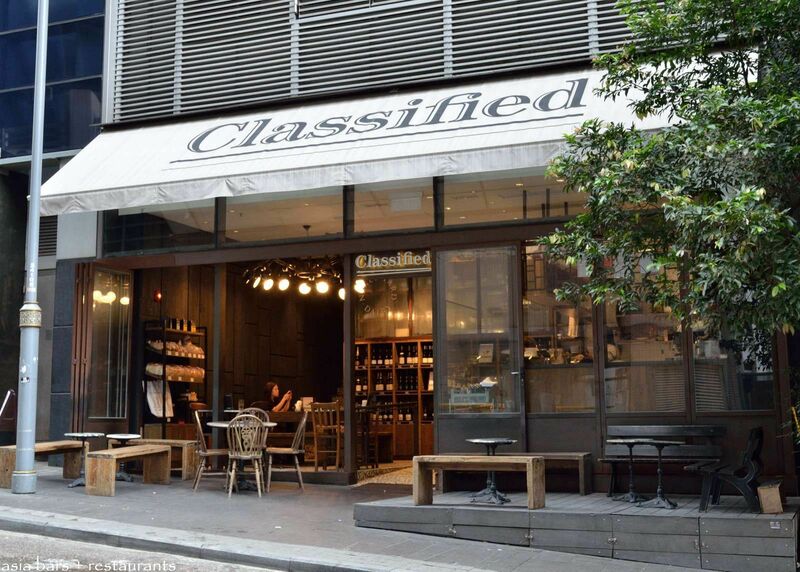 Walking along Hollywood Road were a number a cute coffee shops, selling great coffee and food. Classified was a regular breakfast fuel stop for us! Ending our walking tour at the fabulous mid-level escalators, we finished at Staunton Street area, filled with fabulous, but expensive, shops and bars. Love these escalators!! No walking up! Don't forget to stop in 17 Staunton Street, for some great ceramics. Read about more ceramics shopping in my other posts. 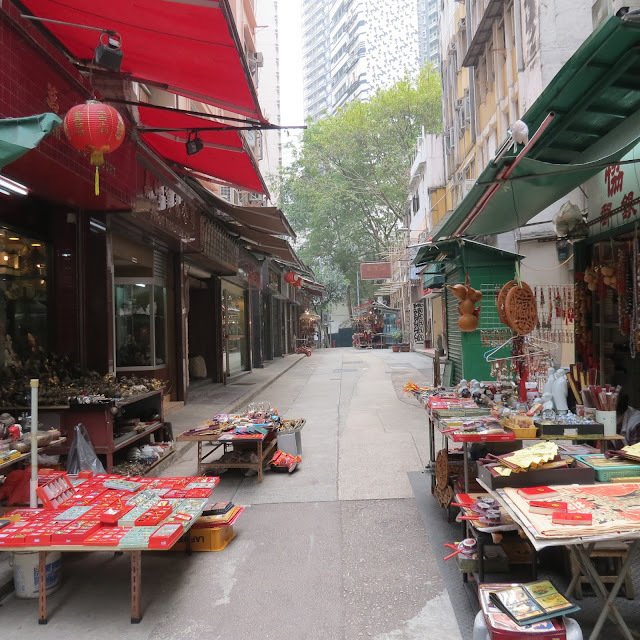 A number of lovely kitchen and ceramics shops kept us busy on Hong Kong Island. 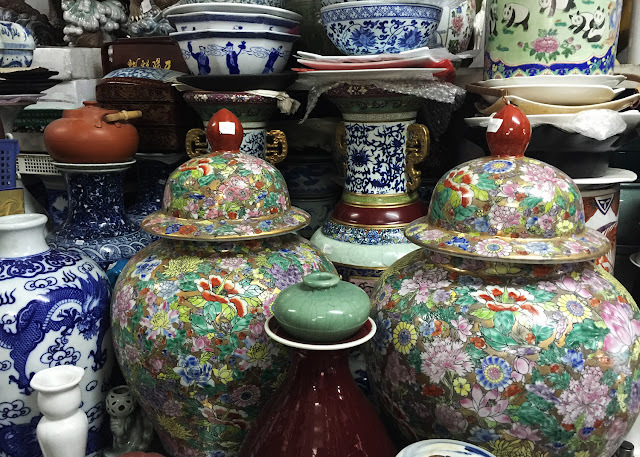 King Tak Hong Porcelain Company is your kitchen super store. Loaded with cheap ceramics, plastics, knives and everything kitchen. 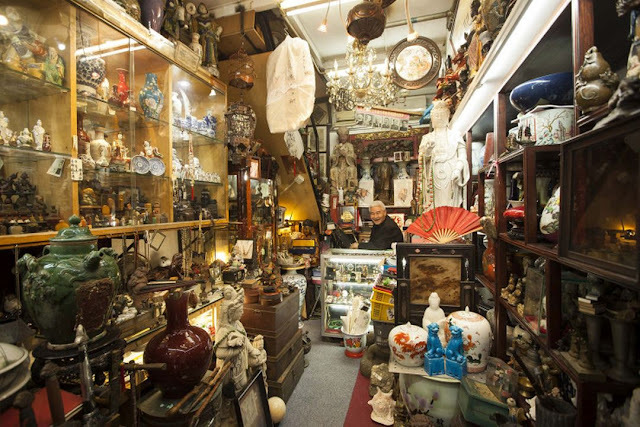 A great place to grab some 'useful' souvenirs and bits and pieces. 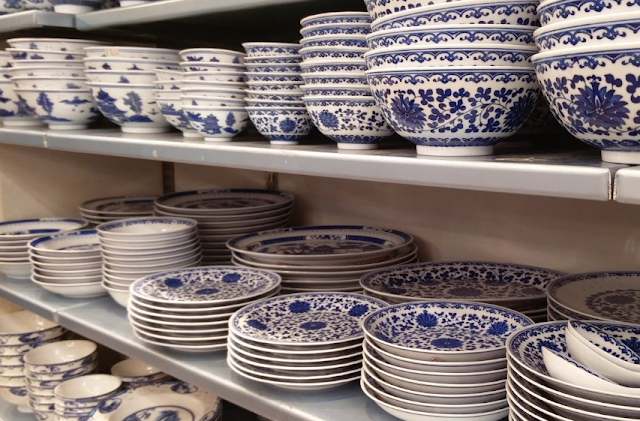 We bought a few little plates and bowls here. The selection was quite generic looking but cheap. 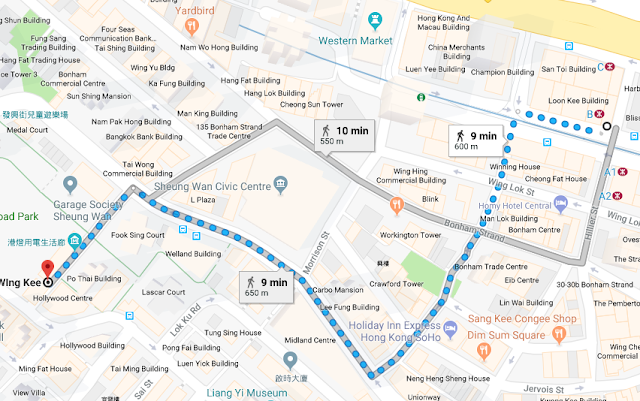 The walk from Wan Chai station was very interesting. 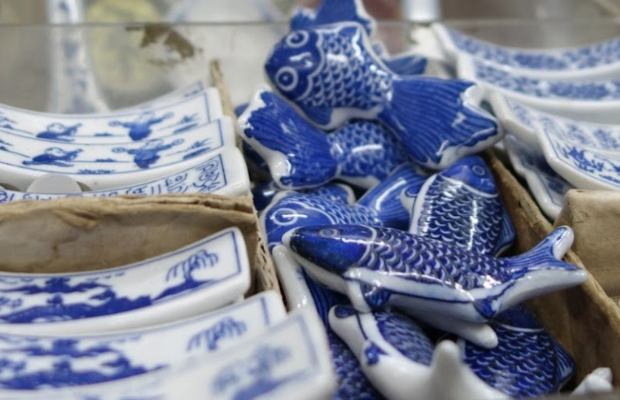 A lovely little ceramics shop to add to your collection. 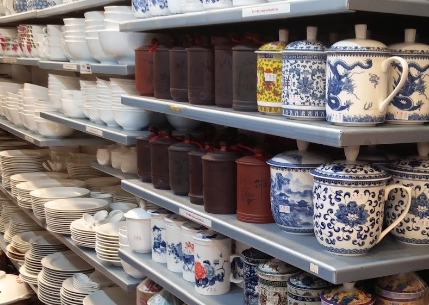 First impressions is a very expensive porcelain shop. But with the promise of 50% the entire store made it very enticing. The owners were very attentive and had a lovely range of pieces ranging from very reasonable to very expensive. We bought a fe pieces here. Lovely hand painted vases with goldfish, ceramic stools etc. One of the last remaining true grocery stores in this very expensive area. 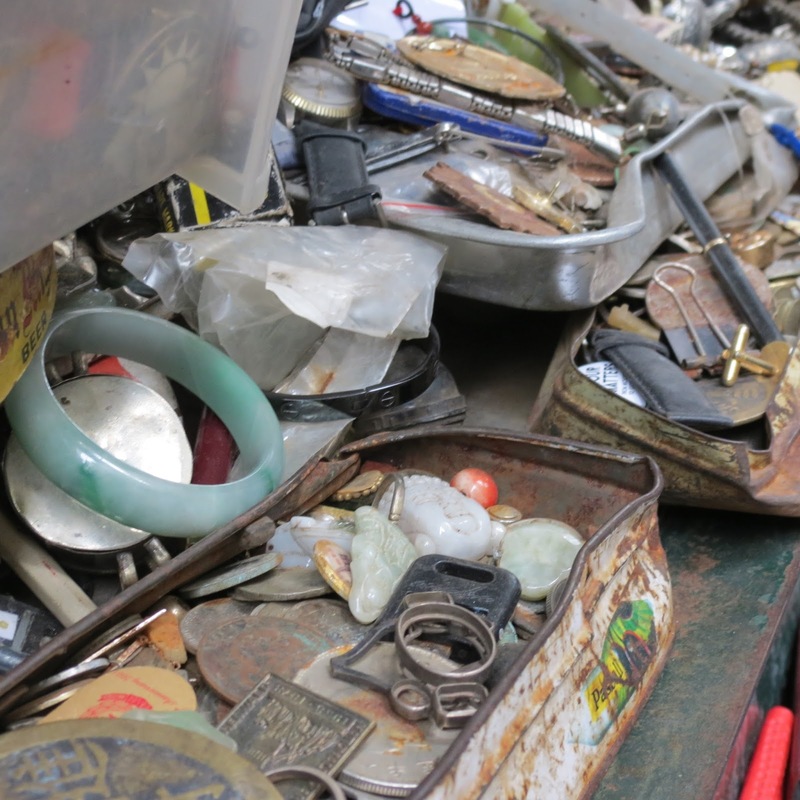 Heaps of bits and bobs. Maybe a little treasure here? 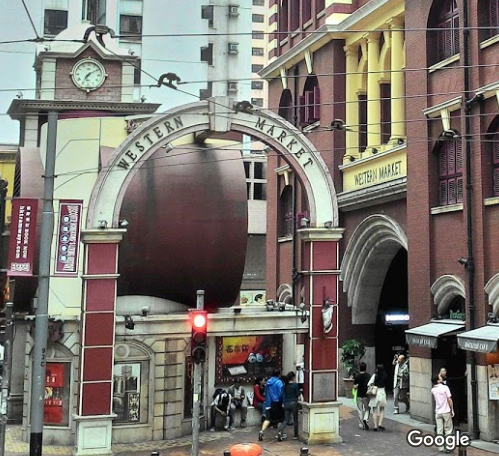 Markets and shopping areas I haven't visited yet! Loving the adventure of self organised trips anywhere in the world. Hong Kong is my bae! The buzz and excitement, with a splash of class keeps me coming back again and again.